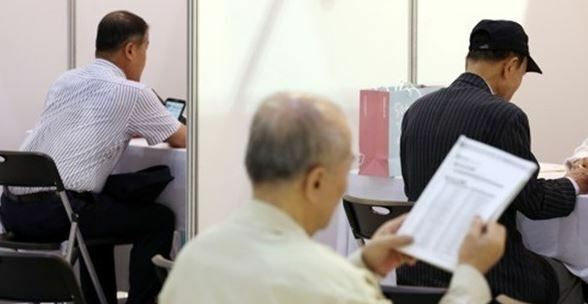 The average retirement age for salaried workers topped 61 years last year as a law raising the retirement age for employees to 60 came into full effect, the labor ministry said Sunday. A survey by the ministry found that workers were retiring at an average age of 61.1 in 2017, the first year the new law was expanded to affect all companies with more than one employee. The ministry canvassed 20,000 randomly selected companies with more than one worker from June to November last year. The government revised the law raising the mandatory retirement age to 60 in May 2013. From 2016, the law affected all companies with more than 300 workers, as well as public organizations. Since the revision, the average retirement age of salaried workers has increased every year. It rose from 58.8 in 2013 to 59.4 in 2014, 59.8 in 2015 and to 60.3 in 2016. The age went up a further 0.8 year in 2017. But the ministry pointed out that it needs to come up with measures to improve the effectiveness of the legal retirement age because many private companies still stick to the past practice of demanding their workers take early retirement.